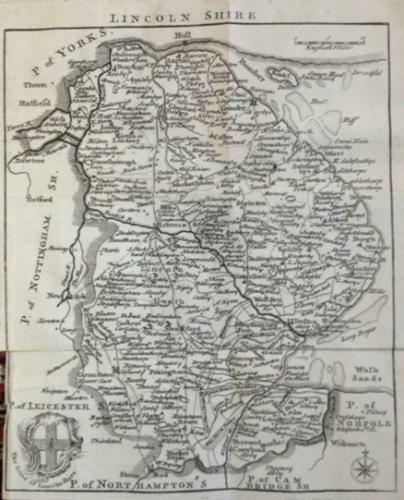 Title: 'Lincolnshire' from 'SIMPSON'S AGREEABLE HISTORIAN OR COMPLEAT ENGLISH TRAVELLER. WITH A MAP OF EVERY COUNTY AFTER THE DESIGNS OF HERMAN MOLL AND OTHERS'. Printed by R. Walker and dated 1746. A small and intricate map of the county. In good condition - folds as issued.